A refreshing and convenient option for Milwaukee Wisconsin Hotels When you come to Milwaukee Wisconsin the DoubleTree by Hilton Hotel Milwaukee/Brookfield offers comfort and amenities that will enhance your visit. Unwind in spacious thoughtfully-appointed trend-setting accommodations while enjoying our specialized and caring attentive service. 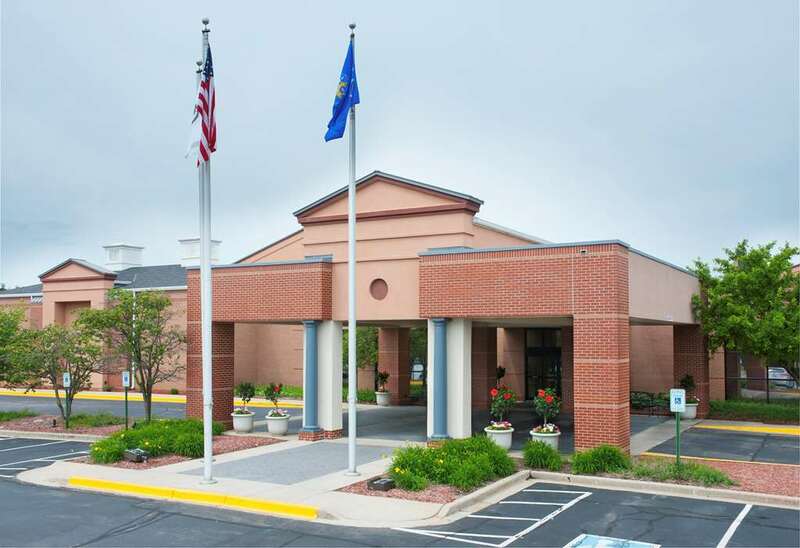 Offering a convenient location off I-94 in the Brookfield Lakes Corporate Center our hotel is just 25 minutes from General Mitchell International Airport /MKE/ and 15 minutes from downtown Milwaukee Wisconsin. As an ideal option among Brookfield WI hotels for business travel and Wisconsin vacations the DoubleTree Hotel Milwaukee/Brookfield serves all of the major corporate locations in the West Suburbs of Milwaukee and we*re just a few minutes from Brookfield Square Mall - 2 miles Milwaukee County Zoo - 7 miles Harley-Davidson Factory - 8 miles Harley Davidson Museum - 12 miles Henry Maier Festival Grounds Home of Summerfest - 14 miles Historic Third Ward - 15 miles Miller Brewing Company - 11 miles Miller Park Stadium Home of the Milwaukee Brewers - 11 miles Milwaukee Art Museum - 14 miles Milwaukee Mile - 9 miles Pabst Mansion Museum - 12 miles Petitt Center - 8 miles Potowatami Bingo and Casino - 12 miles Wisconsin State Fairgrounds - 8 miles. There*s plenty of restaurants and shopping within five minutes and great things for the family such as a trampoline park miniature golf a state-of-the-art cinema bike and jogging trails. Jacks: Serves casual American fare for breakfast lunch and dinner.